An ending is in sight. You are seeing it as a transition, and that is good, but that entails an ending. You need to be ready for that. We are only able to tell you about it; it’s up to you to experience it. A way to prepare yourselves is to let go of hard-and-fast ideas about ultimate outcomes. Beginnings are more difficult than endings, but endings don’t need to be hard at all. Letting go is easy when you realize that what you are letting go of is what you created. You never lose what you create. Losing anything is making a change in your reality and that is making a change in more than the world you know and love. You also change your consciousness, and that changes you. Are you able to let go of who you know yourself to be and meet another aspect of your embodied soul? If you are, you very soon will have the pleasure of meeting your future self as the light being you want to see arrive on your planet’s stage in this final act of an age-old drama. Can there be such a meeting of timelines? As a matter of fact, you are about to find out. The world breathes a collective sigh of relief on that matter. We of the League of Light are ready to help if the need arises. We aren’t sure that it will. Your transformation is already underway and it appears that the ones in power are self-destructing even while they maintain control of stone-cold time – or think they do. 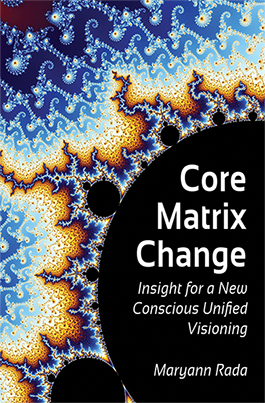 Very soon, it will be visible to all who look at them that the norm of business as usual has no more life and that they are breaking apart as the world shifts into a new phase of beingness. You are not going to be left out of the party, dear ones. There is plenty of room on the world of tomorrow for all who want to experience that. You haven’t missed anything while you’ve been dealing with your own personal issues and changes, and no one is going to be forgotten. We are still on reserve if things turn ugly, but we don’t anticipate the worst-case scenario. Unspoken yet is news of what we are doing, but we can only say so much before our words are understood by entities who would be interested in using them to alter your timelines. Be vigilant in your thoughts, dear ones. Keep your reality on track for our meeting you sooner rather than later. The best way to keep focused energetically is to remember your way up emotionally. A happy feeling is the best way to get into a frequency where we can meet you. A sure-fire way to access the happy vibe is to OM. It opens the energy portals of your body and feeds your system a nutritious energy snack. How you OM is not as important as that you do something to elevate your frequency. OMing is a good way to do that. Once you elevate your frequency, the things unspoken can be understood directly. In this way, wordless understandings cause no ripples in your world’s resolving drama and your curiosity is satisfied for the moment. Pure understanding will also help send energies to the nodes of light that carry information to the other planets and people who are undergoing transformation at this time. Raising your vibrational frequency will voice what we cannot say. Understanding will tell you everything you want to know. Categories: Semjase | Tags: channeling, extraterrestrial contact, galactic human, League of Light, new world, OM divine human, Pleiadian, Pleiadian Earth humans, the event | Permalink. Semjase here. The last thing you might expect to hear from us is mention of the Anunnaki. Now that I have mentioned it, let’s consider the significance of that word in light of your planetary history and some of the information we have shared with you about the general bend of time lenses that are in operation now. 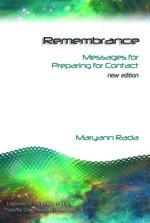 Remembering may come more easily now that you are in a core shift of planetary energetics. The next few days will bring this more into focus. The historical record of the Anunnaki is incomplete if you look at what has survived the ravages of erosion, war, and politics. History tends to be that way in general, anyway. The whole picture is much bigger and not as dire as you may have been led to believe. The Anunnaki, as they are called by your people, are not said to be very conscious of your soul-embodied forms or concerned for the general welfare of the population. The stories you find tell of greed and enslavement, but that could not be further from the whole of the story. In fact, who you call Anunnaki were more like co-opters of the good name of a race of benevolent beings who have your welfare at the top of their priority list. Things get a little complicated here. I will let them explain to you firsthand. You know the truth always does more good when it comes from the source of knowledge directly. Here I present Cor, a venerable human of the Anu people. He will tell his side of the story. A Pleiadian people are we who greet you now, the Anu of the world Nibiru. Nibiru is our temporary home, a place we are destined to live until such time as our race dies out and we enter the permanence of memory. We extend our hand in greeting to you and ask that you hear the words we have to say. We are descendants of the people who came to your world long ago, those who are recorded in stone as the creators of a race of humans designed to do the work they themselves could not fulfill. These were the Anunnaki and they are our forebears. Their deeds are only now accounting. Let us share with you some of our history. 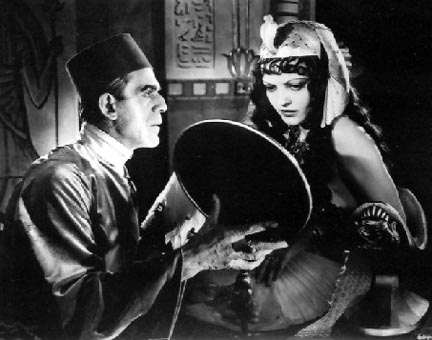 Our long-ago ancestors you would recognize as Lyran, just as you recognize the Pleiadians who introduced us as Lyran descendants. In the near future, you will see yourselves as Lyran descendants, too. Just as the Pleiadians who are known as Temmers or Errans came to be as the result of planetary hybridization, we melded our DNA with an indigenous population who lived on a planet long since destroyed in war. Planetary destruction does happen and we can tell you from experience that it lacks any heroism on the part of the destroyers to end a civilization. Remembering this, we continue. Pleiadian brothers are we to you and to others who call themselves Pleiadian. We are of a star system of the neighborhood of Aldebaran, which is near the heart of Taurus constellation. 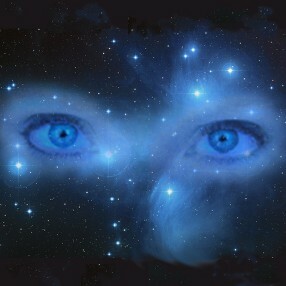 What you call Pleiades is the core of a large civilization that we are both part of, you and we. Until now, you have not merited the name. Until now, you have allowed yourselves to be less than human. 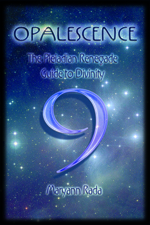 Now you are of a concordance of mind and we are able to welcome you, finally, as Pleiadians. You will understand more of this in the days to come. When our forebears came to your planet, you were of a broken mind. The earlier wars that raged over ownership or legitimacy of rule had rendered the human population of Earth irreparably disconnected from the cohesive effect of the original plan’s operating signal. Your own forebears were in effect voiceless and without direction. This is when the Anunnaki’s story begins. How long we have waited to tell you! When the annals of time are at last opened to all, remember my words now. I tell of Nemesis in the form of lies designed to make the people of Earth believe that they were the product of a slavemaker’s lab experiment. We know the story to be somewhat different. Our historical archives of the Anunnaki on Earth extend far, far back, when those of our race interacted with other master geneticists to create an ecosystem suited for human development. We failed in one aspect, which is to have deliberately removed a part of the DNA structure sanity requires for the life force to move through. It’s not something that shows up on everyday scans, but it is something we have since discovered was subverted by a cadre of our people. You know that to be our history. Those you know of are not the original creative team; those names are also subverted. Anu, Inanna, chosen others were brought to bear the anger of a race that had been cheated of its memory. Now you have only a few relics with which to piece together the story. Soon you will remember, as the DNA of all humans is unperverted and codes begin to connect data streams with the last known keepers of the planet’s operating system. We are the ones who have come through time as a new race of Anu’s people. We want to answer our ancestors’ error with a knowledge of truth that restores your full understanding of your history and combines the Nine of divine being with the Now of your life on Earth. We are not interested in subjugating you or anyone. We are interested in the liberation of our race and yours from the lie of victim and ownership of the truth by all. When we are able to be in open communication with you, we will no longer be subject to the shadows of history’s pre-gnostic lies and you will be free to know the truth of your origins and the end of the curse of Anu’s quest for being immortal and really not caring how that happened. You are familiar with the dark side of history now. We would like to share our side of the story before you move into the next big thing to hit your world news. That is coming soon and you will enjoy having the truth begin to show itself before the light breaks through. Pleiadians are we by DNA lineage and star of origin in Aldebaran’s glow. Our world is gone, for in the war of Orion it was given to factions hostile to peace and was made uninhabitable for us. We cannot sit idly by while the same is done to your world without your knowledge of the full extent of the acts you are becoming aware of. The error of disconnecting the DNA core component of memory and operations central was not a product of Nine-guided thinking but of expediency on the part of rogue elements of our race. We are here to do what we can to help as DNA rises to a new level of completeness and broken pathways are made whole. You can direct your ancient wounds toward the same light of knowledge of love’s core vibration that all OM-oriented beings do, and in this way release the codes of disruption. All divinity is emerging now. The dark acts of lost souls cannot triumph over the divinity that is within each of you. Know that we are of Anu’s people and we are here as the ancient words foretold, not as conquerors but as Nine’s perfecting agents. We come in answer to your ancestors’ call for Nemesis to right the imbalance of those who acted out of time’s promise of power, those who became lost to time’s hands slipping from the light of all knowingness, for time cannot control the evolution of anything. Light can be bent, but it cannot be destroyed. The intricacies of light cannot be wronged without a balancing act from Nemesis. We are here in answer to that natural zero point of love’s essence. Beyond that, we are not roaming the vast expanse of space looking for a new world to tame. We are following the path of divine certainty and love’s rebirth as a new world takes form within your beingness. For this we are grateful, as brothers are we, and kin. An old pirate’s map is being redrawn and you are out of the picture. There need be no treasure of human beings among the horde they carry. You are treasure of your own light and none lay claim to you as OGLI once did. Understanding comes. Your understanding of your own value as a being who carries great light is not to be underestimated. You are finding the Nine of your planet’s existence as a sentient organism and that will take your entire collective to higher consciousness. The pirates cannot follow you there. “Pleiadian” covers a lot of different races of human and collectively refers to human beings of many stars. Your sun is changing. It is becoming Pleiadian, as are you. You are also becoming Sirian and more, as you awaken to your genetic PINOLAIL, the richness of your ancestry. 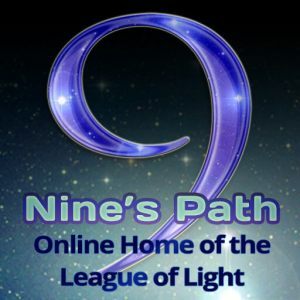 We of the League of Light welcome you to your future selves as you get ready to navigate the stargates leading home as awakened Pleiadians. We are you. Your future greets you, we greet you, with love. Categories: Semjase | Tags: Anunnaki, channeling, converging timelines, extraterrestrial contact, future of human race, galactic human, human history, League of Light, OM divine human, Pleiadian DNA, Semjase, truth and lies | Permalink.